Some people think that having a brother is good but I think that having a brother is hard. Somethings you just can’t get when you have a brother like peace and quiet. Having a brother is hard because you always have to do whatever they want to do, share everything with them, and because you always get blamed for things that you didn’t do. “Three, two one, let it rip!! !”, my two brothers said in unison. I just rolled my eyes. My two brothers had forced me to play a game called beyblade. It’s like those spinning tops but they spin longer. “I could be doing other things like reading my book and playing something else”, I thought. Then I pulled the string on the launcher . After 2 boring minutes of watching the beyblades spin. My brothers said, “Again, again!”. After that battle I thought” one more time and and I’m going to burst”. That is only one example of me having to play something I don’t like with my brothers. Here is a list of the things my brothers force me to do even though I don’t like playing it: my brothers like to play cars and I don’t, my brother like to play beyblade and I don’t, and my brothers like to play punch the Peter ( me) and I definitely don’t. Another reason I don’t like having a brother is because you have to share everything. One day when I was about 6 years old I got a present for my birthday. Back then I was interested in Pokemon cards. One of my friends gave me a box containing an EX Pokemon card. It was very powerful I really wanted to open it right then so I could add it to my collection. Apparently my brother Johnny was interested in the card too. He said he wanted it. I said that he couldn’t have it , but my mom said we have to share the card. I started to argue, I said that it was my birthday, but my mom said it was final and if we kept on arguing there won’t be enough time to open the rest of the presents. Sometimes you have to share things you don’t want to share like things that are important to you and fragile things or things they might lose. The most important reason of why having a brother is hard is because they always blame you for stuff they did wrong and say it was you. This story is an example of when they blame you for something. My other brother Charlie is pretty strong for his age. He likes to kick and punch Johnny and me and tell on us for punching him just for the fun of it. One day he decided to take a trophy from my room and told on me for taking a trophy from his room! Mom believed him because he is 5 years old and I am 10 and because she thinks it is something I would do. “ Go to your room! !” mom yells. “I said go to your room!!!!!”. I get blamed a lot by my brothers. They like to take stuff from my room and say that I stole it from their room. Johnny likes to takes things he wants but I won’t give him and charlie likes to physically hurt me and tell on me for hurting him. Now you know if you don’t have a brother how hard it is because you have to do whatever they want, you have to share everything you have, and mostly because you brother blames you for everything even though you did nothing. So if any of you out there want to have a brother, I would think twice. Article = Would you eat lab grown meat? Summary = Lab-grown meat also known as clean meat may be the meat of the future. Studies show that our usual way of getting meat takes up 30% of the world’s land. Lab grown meat takes up 99% less land, 96% less greenhouse gas emissions, 90% less water and doesn’t kill the animal. Lab grown meat is made by removing adult stem cells from a cow, which is said to be a painless procedure, then they separate the fat cells from the muscle cells. They use the muscle cells to grow the meat. The muscle cells are then placed in an artificial environment also know as a cell culture. In order to grow the cell needs amino acids and carbohydrates. One muscle cell could grow into millions of cells resulting in many hamburgers or whatever kind of meat you are trying to grow. 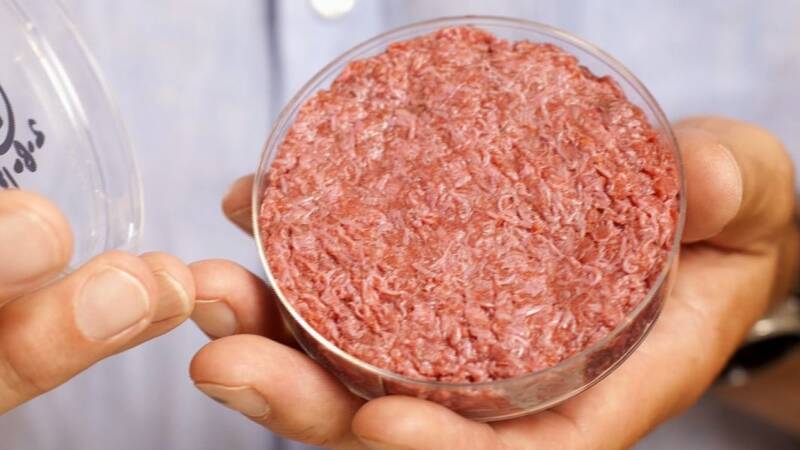 Five years ago a lab grown hamburger cost $325,000 now the price has been reduced to $11. 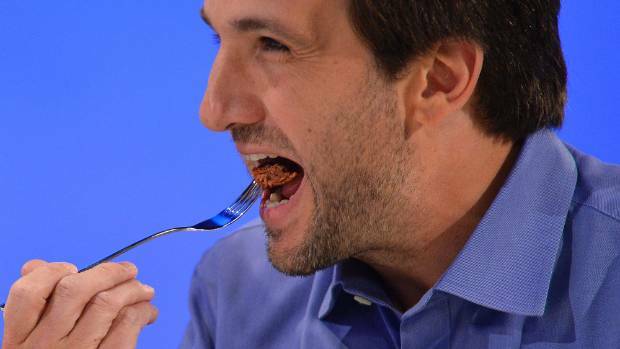 What does it lab grown meat taste like ? Lab grown meat is right now made just out of muscle so it is not as fatty as a regular hamburger. Scientist who make lab-grown meat are trying to put healthy fats and imitation blood into the meat to make the meat taste more like regular meat. I think we should eat lab-grown meat. Studies also show that one-third of the public is in favor of lab-grown meat. Remember, lab-grown meat is not only good for the environment, it is also good for us, eating lab-grown meat means that we less likely to get antibiotic resistance from eating meat because lab-grown meat is not grown near antibiotics. Eating lab-grown meat also is made in a cleaner environment than outdoor farms, there for the risk of contamination from bacteria is thus eliminated. Category: Current Events, Uncategorized | 1 Comment on Would you eat lab-grown meat?